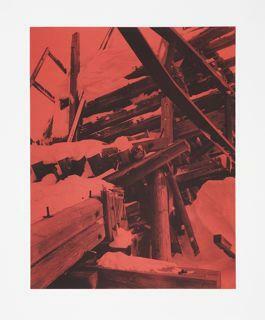 Executed in Copenhagen from 25 - 29 June 2007, Norilsk is the first major graphic project by the artist. 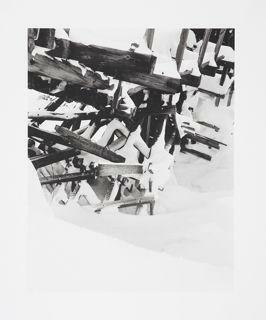 Portfolio of seventeen photo-lithographs created from zinc plated and then each transferred directly to stone and printed from a stone lithograph press, all fine, fresh impressions, the full sheets, printed on 250 gr. cream white wove paper, with margins, each sheet numbered in pencil on the reverse by the artist, signed and numbered in pencil by the artist on a specially designated signing sheet, executed in an edition of 33 examples (there were also 6 artist proofs and 1 Archve proof which is not for sale) printed by the artist with assistance of Rasmus Urwald, published by World House Editions, Middlebury, Connecticut and Edition Copenhagen, Copenhagen, contained in a hand-made linen-covered box, with texts by Joseph Brodsky (in English and Russian) and Simon Ertz, as well as a justification page/colophon. Humlebaek, Denmark, Louisiana Museum for Moderne Kunst, Selections from The Permanent Collection, 31 October 2007 - 31 March 2008. Staff. 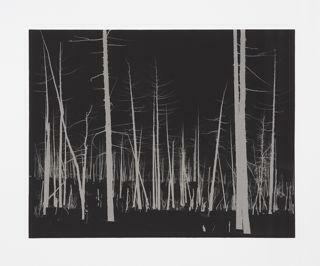 "5th Annual New Prints Review," article in Art On Paper magazine, November/December 2008, vol.13, no.2, pp.46-47, illustration of 3 images from the portfolio in color. 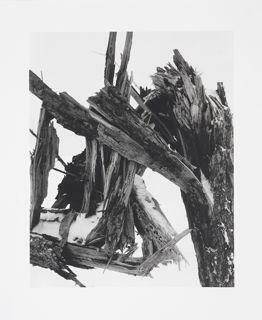 This portfolio was conceived as a single work in seventeen parts, with the text, therefore Darren Almond has utilized a single signature page for this project. That page is signed, dated and numbered in pencil by the artist. 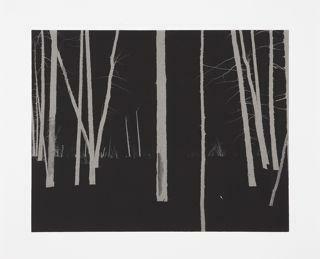 Each lithograph in the portfolio is numbered in pencil on the reverse. In addition, each print is inscribed in pencil with an ordering number in Arabic numerals on the reverse. Each sheet measures approximately 23 ½ x 19 ½ inches or 19 ½ x 23 ½ inches (60 x 50 cm or 50 x 60 cm), however there are slight variations in the size of each sheet. The accompanying text by Joseph Brodsky, reproduced in English and Russian, has been excerpted from "A Part of Speech" from A PART OF SPEECH by Joseph Brodsky. Translation copyright ©1980 by Farrar, Straus and Giroux, LLC. Reprinted by permission of Farrar, Straus and Giroux, LLC. The accompanying text by Simon Ertz has been reprinted from The Economics of Forced Labor: The Soviet Gulag, edited by Paul R. Gregory and Valery Lazarev, with the permission of the publisher, Hoover Institution Press. Copyright ©2003 by the Board of Trustees of the Leland Stanford Junior University. This idea of a grid representing the flow of bodies and activities interests Darren very much. It is from a fascination with railway travel and circularity that Darren initiated the photographs included in the Norilsk portfolio. 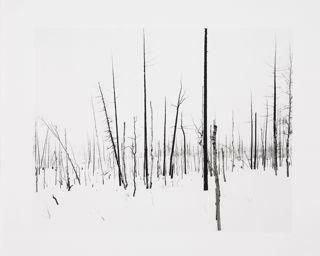 All based around the city of Norilsk in northern Siberia, his first images were concerned with the broken train bridges, which he included in the series called Minus 60,000 (2005). 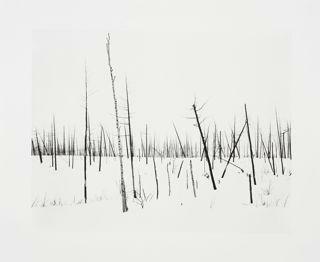 Later he photographed the dead trees surrounding the city in the series, 69th Parallel (2005). This trope continued in Night + Fog (2007). 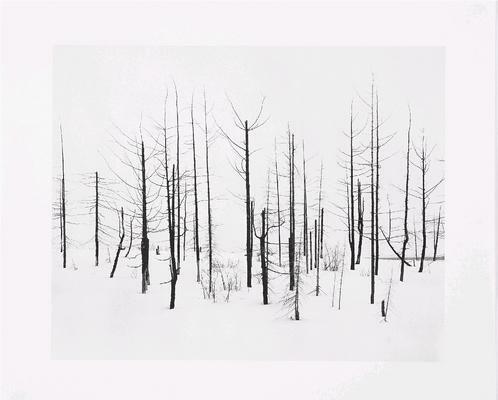 The images in Norilsk are all taken from these three photographic series of works. Darren has traveled to Norilsk on at least five occasions. Norilsk today is a closed city, for which one must have a special written invitation as well as the usual required visas to be in Russia to gain access to this former Gulag. Located in Northern Siberia, Norilsk is the northernmost major Russian city and the world’s second largest city (after Murmansk) above the Arctic Circle. The city is inhabited by about two hundred thousand people and in winter the temperature drops to -45 degrees Fahrenheit and for months at a time there is no sun. The region contains more than a third of the world’s nickel reserves, and forty percent of the world’s reserves of platinum as well as significant amounts of cobalt and copper. Between 1935 and 1953, Norilsk housed up to 400,000 inmates, of which the large majority were political prisoners. In 1953 after the death of Stalin a major revolt known as the Norilsk Uprising occurred. Darren’s original interest in the region was the Arctic and references to such polar explorers as Robert Scott, the Englishman who perilously died within reach of his base camp and who is acknowledged in Darren’s work Scott (2003), a train plate that reads “11 miles…. 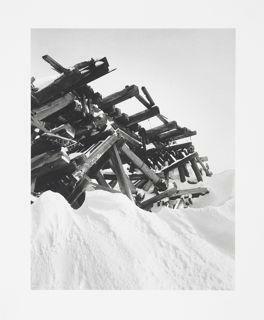 from Safety.” Much of the peril of being an explorer is present in the works included in Norilsk. 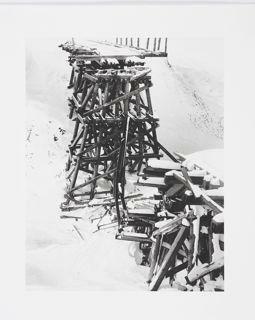 Minus 60,000 are black and white photographs taken of the dilapidated train bridges that connected Dudinka, an old and important trading port with Norilsk, the then new Soviet nickel mine, and the largest of the Gulags. The fifteen-kilometre narrow gauge rail link Darren photographed was built by prisoners sent to Siberia; 60,000 of these penal labourers perished during the construction. Many of the incarcerated who built the infrastructure and worked the early mine at Norilsk were political prisoners who were taken away in what was commonly referred to as “in the night and fog”. In the 1930s during Stalin’s campaigns of political repression known as the Great Purge millions disappeared into the night. Significantly, the nickel mined in Norilsk historically by political prisoners and today by workers who endure the world’s highest sulfur pollution is clearly present in the print edition through the addition of nickel in the printer’s ink. The local inhabitants die on average a decade earlier than other urban Russians. Due to intense mining the city is one of the ten most polluted cities in the world suffocating trees within a 19 mile “dead zone” surrounding the three smelters, of which the most modern is known as “The Hope” or Nadezhda. Built in the late 1970s it joined the two other plants previously built by inmates, including the first from the late-1930s. 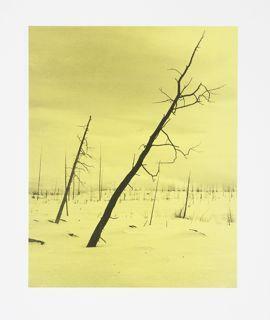 Other details such as the yellow and red monochromatic prints included in Norilsk respectively reference the sulfur and Russian constructivist utopian aspirations. 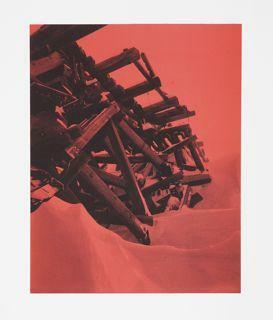 In the Norilsk portfolio, Darren also includes the reprint of an academic study by the economist Simon Ertz detailing the economic social and political conditions of the Soviet Gulag Norillag (meaning the Norilsk camp), which was created by the People’s Commissariate for Internal Affairs in 1935 to be run by the Gulag administration, tasked with the responsibility for exploiting the riches of Norilsk. The Gulag administration’s growing reputation for managing large projects in remote regions where difficult conditions prevailed allowed the civilian ministries to show an aversion to working under such hazardous conditions. Today the broken train bridges are acknowledged by the locals as unofficial memorials to those who suffered during the Soviet times, the dilapidated bridges are historically resonant of regulated labour and the “correctional” activities of the Gulag. During the Cold War the city of Norilsk was ringed by silos containing intercontinental ballistic missiles. Its strategic and economic importance well established in the 1930s remains uncontested. Norilsk Nickel worth about $34 billion is estimated to have resources for at least thirty more years of mining. It emits as an unwanted bi-product almost two million tons of sulfur dioxide each year. Greenpeace Russia says this has caused acid rain across an area equivalent in size to Germany that has killed 1.2 million acres of forest. 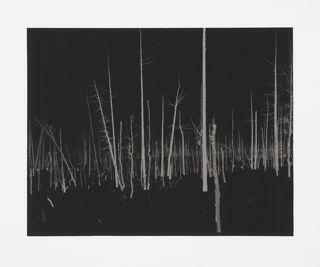 The destruction results in an otherworldly zone of mud and dead tree trunks, some of which Darren has documented first in 69th Parallel the series title denoting in a plain descriptive tone the geographic location where the photographs were taken and later in Night + Fog. 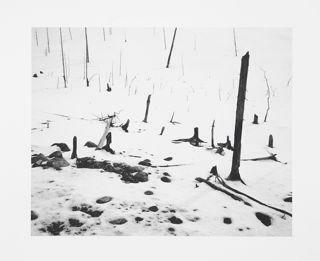 Throughout his career Darren has created a diverse and intimate body of work mapping and charting the world’s landscapes with an interest in the political dynamics of place. He navigates and explores diverse topographies as a means of accessing often inaccessible and seemingly un-chartered territories. 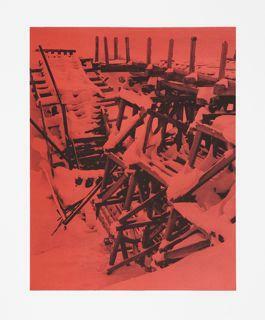 A humanist desire to expose inequities is introduced with the title of the series and suggests the perils of being sent to the Soviet Gulag. 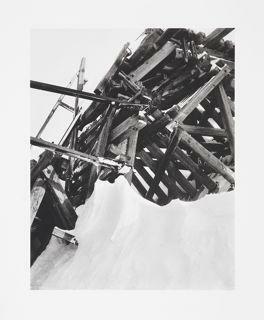 The sense of isolation and loneliness is suggested by the high contrast of the nearly black and white stark gelatine silver prints of dilapidated train bridge. With Norilsk, Almond’s vocabulary exploring time, travel, and human labour, exploitation and corruption takes on a new significance in the context of historical memory. 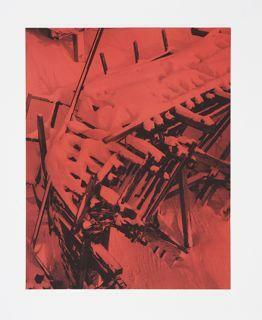 Norilsk is in the permanent colleciton of the Louisiana Museum for Moderne Kunst, Humlebaek, Denmark and the Everson Museum of Art, Syracuse, New York.